Attracting and retaining highly qualified employees is a top priority for UC ANR. To be more competitive among many diverse employment markets, UC ANR leadership has developed a plan to address the competitiveness of our staff salaries. As part of UC ANR's overall compensation strategy, VP Humiston approved a four-year Market-based Adjustment Plan for non-represented staff to ensure salaries of existing staff are better aligned with the labor market. All non-represented staff are eligible to participate in this plan, regardless of their position's funding source. For some whose compensation has fallen behind market rates, the Division is making a significant effort to address this issue, as long as it is fiscally viable and prudent to do so. Using UC Career Tracks, UC ANR Human Resources will be able to identify, review and address the salaries of non-represented staff members whose pay is not in the targeted competitive zone. This strategy will be implemented over four years, which will allow us to better manage the fiscal impact of the salary adjustments. Eligible employees will be notified individually within the next few weeks. These market-based adjustments are separate and distinct from any merit program approved centrally by President Napolitano. AVP Wendy Powers announced that UC ANR has added another funding mechanism to its 2017 funding opportunities/grants website: a Matching Grants Program. For grant opportunities that require matching funds, this program will provide cash resources for UC ANR academics to submit as matching funds in their proposals for external funding support of research, outreach or training efforts. Proposed projects must be within the scope of the UC ANR Strategic Vision. All UC ANR academics with PI status are eligible to apply. Proposals will be accepted at any time, as the opportunities present themselves. Proposals will be submitted to the Associate Vice President and reviewed by the UC ANR Strategic Initiative Leaders and two UC ANR Vice Provosts. Because we recognize that these are time-sensitive projects, the review process will take no more than one month. Requests for matching funds will be no more than three pages in length and must include a link to the request for proposals, a justification indicating why it is appropriate for UC ANR to provide the cash match, description of the project (study design, educational framework/audience, training program, etc.) and detailed budget. Requests of up to a 1:1 cash match will be considered. No awards will be made until a contract between the grantor and UC ANR is executed. In addition to any reporting required by the grantor, all projects will require a final report with stated outcomes/impacts or anticipated outcomes/impacts. A final report to the grantor may be substituted if the final report contains outcome/impact information. UC ANR will provide a limited pool of funds for this grant program on an annual basis. The pool of funding will be managed to ensure year round availability for timely projects. For details about the Matching Grants Program and other ANR funding opportunities and grants, visit http://ucanr.edu/sites/anrstaff/Divisionwide_Programs/2017_Funding_Opportunities_Grants. For questions about the Matching Grants Program, please contact Powers at wendy.powers@ucop.edu. The extended vacancy of the Youth, Families and Communities Director position (vacant 17 months) has given UC ANR leadership time to consider program needs and how the Division can best meet those needs moving forward. After reflection, collecting recommendations from the respective Statewide Directors and gathering input from the broader ANR community, AVP Wendy Powers has decided not to fill the YFC director position. “Interim co-directors Shannon Horrillo and Katie Panarella have provided excellent leadership and afforded the Division an opportunity to invest the unused salary provision to further strengthen and support the YFC program,” Powers said. Funds designated for the YFC director position will be reinvested into YFC programs to support growth and new opportunities. The statewide program directors identified program integration among 4-H Youth Development; Nutrition, Family and Consumer Sciences; Master Food Preserver and Master Gardener programs as a key priority. “In support of their vision, we will hire a Program Integration Coordinator that will support efforts to integrate across programs and disciplines to maximize extension efforts and identify new multidisciplinary funding opportunities,” Powers said. “This is consistent with the original intent of having a YFC program and a goal within the UC ANR strategic plan to better integrate and focus our efforts.” The position will be released in the coming months with interviews anticipated in May. “Subsequently, based on the directors' recommendations, we will invest in hiring a Master Food Preserver and Food Entrepreneurship Academic Coordinator,” Powers said. 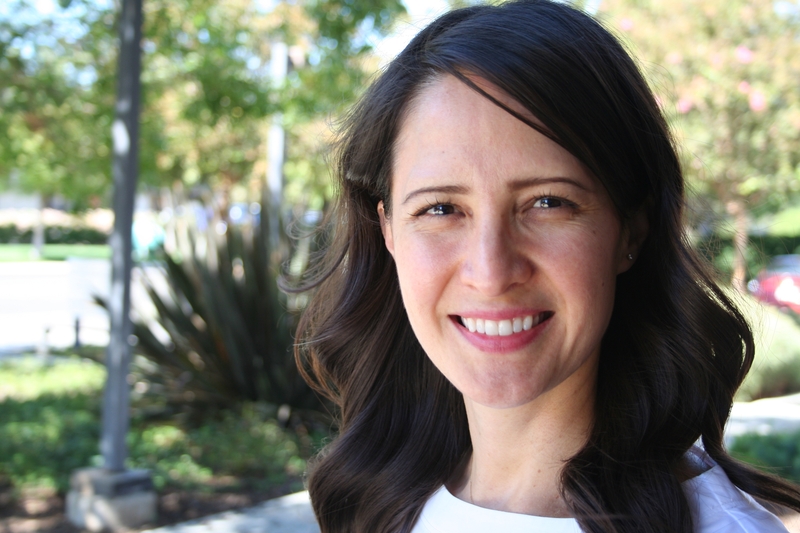 “This position will bring together our existing work with home food preservation, cottage foods and innovation in agriculture to best address the food security needs of California and to pursue funding opportunities to implement programming. She also announced plans to hire a part-time 4-H online data system administrator to centralize some 4-H online administrative functions at the state level, reducing the administrative workload on 4-H county-based staff and increasing technical assistance and support. “We believe this plan will provide the needed support to position YFC for growth and to meet future needs,” said Powers. Shannon Horrillo will continue permanently as the statewide 4-H director and Katie Panarella as the statewide Nutrition, Family and Consumer Sciences director and co-director of the Master Food Preserver Program. They will continue working in partnership with Missy Gable, the statewide Master Gardener director and co-director of the Master Food Preserver Program to lead these high-priority ANR statewide programs and integration in ways that leverage their assets for greater collective impact. 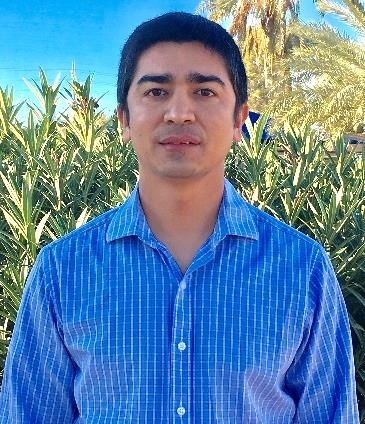 Pratap Devkota joined UCCE on Jan. 6, 2017, as an area low-desert weed science advisor for Imperial and Riverside counties. His primary research will address the weed management challenges on agronomic and vegetable crops (alfalfa, bermudagrass, Sudan grass, wheat, cotton, sugarbeet, lettuce, carrot, onion, spinach, cole crops and cucurbits) grown in Imperial, Coachella and Palo Verde valleys. Prior to joining UCCE, Devkota was a graduate research assistant while working on his Ph.D., evaluating the influence of spray water quality factors on herbicide efficacy. He also researched the interaction of foliar fertilizers with herbicide and the use of adjuvants for improving herbicide efficacy as part of his Ph.D. research. From 2010 to 2012, Devkota studied weed management in vegetable crops as a graduate research assistant. For his master's thesis, Devkota evaluated the efficacy and economics of herbicide programs and soil fumigants as alternatives to methyl bromide for weed control in plasticulture tomato and bell pepper production. Devkota earned his Ph.D. in weed science from Purdue University, an M.S. in weed science from University of Arkansas and a B.S. in agriculture science (major in agricultural economics) from Tribhuvan University, Nepal. Based in Holtville, Devkota, who is fluent in Nepali and Hindi, can be reached at (760) 352-9474 and pdevkota@ucanr.edu. Phoebe Gordon joined UCCE on Jan. 3, 2017, as an area orchard systems advisor for Madera and Merced counties. As a native Californian, Gordon is excited to be able to share her knowledge with growers to improve orchard production and sustainability in the San Joaquin Valley and beyond. She will be covering all tree crops, including stone fruit and figs in Merced. Gordon's extension and research efforts may include water quality, soil salinity, plant nutrition and pests and diseases. 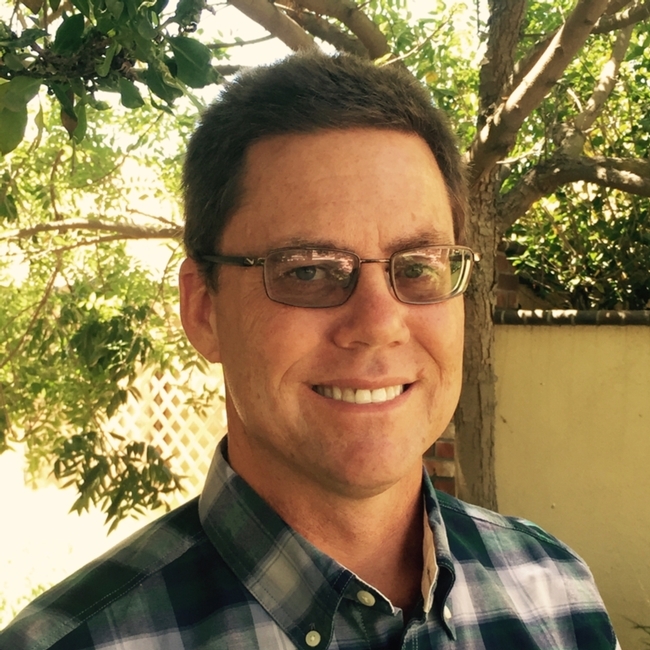 Prior to joining UCCE, Gordon had worked as an agronomist for A&L Western Agricultural Laboratories in Modesto since March 2015. Her responsibilities involved maintaining the soil fertility and plant nutrition status database, providing clients with advice on proper sampling procedures and aiding them in interpreting soil, plant and irrigation water tests performed by the laboratory, and providing fertilizer recommendations based on soil data. At the Ohio State University, her graduate work was in ornamental shade tree production and outplanting and growing trees from seed or tissue culture to liner size using technologies of interest to the nursery industry. She planted a subset of these trees in an urban highway environment and monitored two years of growth and evaluated soil physical properties of the site. Gordon earned a Ph.D. in horticulture and crop science from the Ohio State University and a B.S. in plant biology from UC Davis. Based in Madera, Gordon can be reached at (559) 675-7879 and pegordon@ucanr.edu. Deepa Srivastava joined UCCE on Jan. 3, 2017, as an area nutrition, family and consumer sciences advisor for Tulare and Kings counties. Srivastava earned a Ph.D. in human sciences from University of Nebraska-Lincoln with two certifications on transdisciplinary obesity prevention and mixed methods. She earned an M.S. in child development and family science from North Dakota State University. At University of Allahabad, India, Srivastava completed an M.A. in medieval history and a B.A. in English literature, economics and medieval history. Prior to joining UCCE, Srivastava was project lead for SBSRC Methodology and Evaluation Research Core Facility at University of Nebraska-Lincoln. She was responsible for designing and developing process evaluation methods including logic model and fidelity protocols, serving as lead for data collection and classroom observations, and assisting in curriculum development for EAT-Family Style project. From 2011 to 2015, Srivastava was a graduate research assistant in the Department of Nutrition and Health Sciences at University of Nebraska-Lincoln. She was involved in multiple evaluation projects in nutrition and has taught graduate-level courses. Her work included evaluation of a middle school nutrition education program; process evaluation/fidelity testing of nutrition curriculum across childcare programs and middle schools; focus groups with EFNEP and a local food bank; implementation and evaluation of NAPSAAC program in early childcare settings; Fuel Up to Play 60 project; and Healthy Home Project for limited resources families. Her research interest is interdisciplinary, intersecting three areas: parenting, healthy lifestyle and culture. Srivastava, who is fluent in Hindi, is based in Tulare and can be reached at (559) 684-3318 and dsr@ucanr.edu. 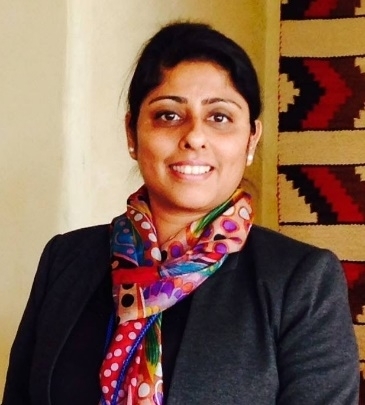 Mandeep Virk-Baker joined UCCE on Jan. 10, 2017, as a nutrition, family and consumer sciences advisor for Fresno and Madera counties. Virk-Baker is a registered dietitian and registered dietitian nutritionist. Virk-Baker's doctoral training at University of Alabama at Birmingham focused on nutrition and cancer prevention including basic lab science and epidemiology. 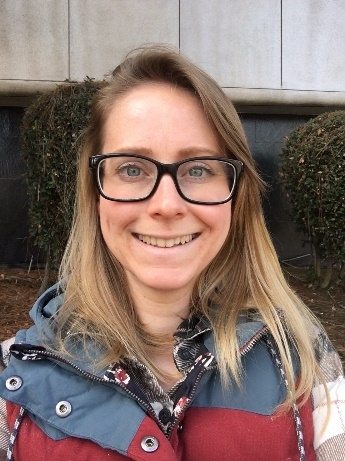 She received an independent competitive grant as the principal investigator to examine the prevalence of equol-producing status (a bacterial metabolite of the soy isoflavone daidzein) and breast cancer risk in postmenopausal women undergoing a physician-recommended breast biopsy. This trial was among the first to evaluate the metabolite-producing status in African American women. 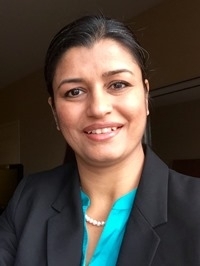 Prior to joining UCCE, Virk-Baker was a cancer prevention postdoctoral fellow at the National Cancer Institute/National Institutes of Health for four years. At NCI, Virk-Baker's research was focused in the areas of nutrition, tobacco, dietary carcinogens, and cancer prevention. As a senior fellow, she led multiple independent projects and conducted cancer prevention research, establishing collaborations with investigators from various agencies, participating in professional workshops, preparing manuscripts for publications, and presenting research at national and international scientific conferences. Virk-Baker received the Sallie Rosen Kaplan Postdoctoral Fellowship award at the Center for Cancer Training/National Cancer Institute in December 2015. At this highly competitive leadership development postdoctoral fellowship program for female scientists at the NIH, Virk-Baker received state of the art didactic training for being an effective leader. While working on a health policy detail in the Division of Science and Policy, Office of the U.S. Surgeon General in Washington, D.C., she had an opportunity to gain valuable public health experience. Virk-Baker earned her Ph.D. in nutrition sciences from UAB in 2012. She received a Master of Public Health and a Global Health Certificate from the Johns Hopkins Bloomberg School of Public Health in 2013. She also completed the Didactic Program in Dietetics from CSU Fresno, and completed a dietetics internship at Iowa State University. Virk-Baker also earned an M.S. in food and nutrition and a B.S. in home science from Panjab University, India. Virk-Baker, who is fluent in Punjabi and Hindi, is based in Fresno and can be reached at (559) 241-7515 and mvirkbaker@ucanr.edu. UC Merced is relaunching its branch of the Blum Center for Developing Economies with a focus on food security for the first two years of the faculty-led effort. Karina Díaz Rios, a UC Cooperative Extension nutrition specialist, and Kurt Schnier, economics professor with the School of Social Sciences, Humanities and Arts, will lead the rejuvenated Blum Center, with administrative help from the Health Sciences Research Institute. They hope to make the Blum Center a hub for all food-security-related research and outreach on and off campus. Plans include bringing speakers to the campus and community; supporting efforts such as the campus food bank, which serves students and others who don't always have enough food; helping support student researchers such as the students who serve as Global Food Initiative fellows; and facilitating — including through small grants — faculty research centered on food-related topics such as diabetes, communicating about food, and food and social justice issues. “We're hoping to help translate research into projects that are relevant to the community,” Díaz Rios said. Merced County's economy is largely based around agriculture, yet many residents do not have adequate access to food or information to help them make healthy choices. Flies are serious pests of livestock and poultry. House fly, stable fly and horn fly species are responsible for damage and control costs that reach over $2 billion each year in the United States. Through this project, the scientists developed new chemical, biological and microbial control methods, such as using adult flies to deliver pyriproxyfen, which disrupts insect growth, to sites where larvae are developing. A new fly trap for controlling horn flies removed between 1.3 and 2.5 million flies from a herd of 150 pastured dairy cows. The trap doesn't use insecticide and costs $1.50 less per cow than traditional chemical-based treatments. Through research and outreach, they have given producers the information and tools needed to select appropriate control methods and apply them in a timely manner. Studies have shown what kinds of weather events and landscape features support fly population growth, and national surveys have shown where insecticide resistance is present. Effective fly management practices result in increased profits, a higher quality of life for animals, a safer food supply and improved quality of life in residential and recreational areas near animal facilities. Adoption of new non-chemical control methods significantly reduces the use of expensive insecticides, cutting costs for livestock producers and reducing harm to the environment. Gerry shares the award with colleagues at Auburn University, Cornell University, Kansas State University, Louisiana State University, New Mexico State University, North Carolina State University, the Ohio State University, Oklahoma State University, Texas A&M AgriLife, University of Arkansas, University of Florida, University of Georgia, University of Illinois, University of Massachusetts, University of Minnesota, University of Nebraska-Lincoln, University of Tennessee, USDA-ARS, Washington State University, Central Garden and Pet Co. in Walnut Creek, Calif., and Agriculture and Agri-Foods Canada. The project is supported in part by USDA NIFA. For more information about the multistate project, visit www.veterinaryentomology.ucr.edu. APLU recognizes one multistate project each year for high scientific quality, the level of collaboration and the professional leadership shown in conducting the project. A plaque and a small monetary award of $15,000 to support the research project were awarded to the group by the Experiment Station directors on Nov. 14, 2016, at the annual APLU meeting. From left, California Department of Pesticide Regulation director Brian Leahy presented the IPM award to Ben Byczynski, director of Fetzer Vineyards and Grower Relations, Glenn McGourty, Houston Wilson, Lucia Varela and Ryan Keiffer. 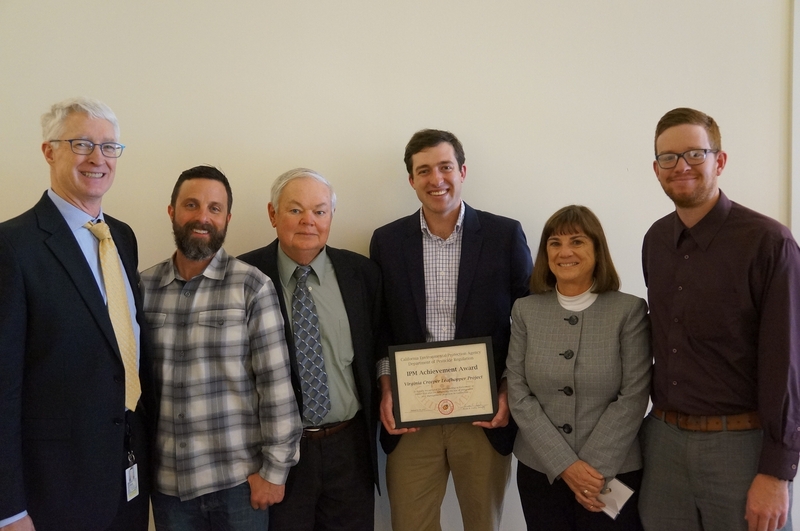 UC Cooperative Extension,winegrape growers, the Lake County Wine Grape Commission and the Mendocino County Farm Bureau were awarded a 2016IPM Achievement Award by the California Department of Pesticide Regulation for their leadership in protecting crops from Virginia creeper leafhopper. In 2011, the tiny insect showed up in Mendocino and Lake counties, causing severe losses of wine grapes. By 2014, the new leafhopper had spread across thousands of acres and was devastating vineyards. Some organic growers began using conventional pesticides to stay in business. Glenn McGourty, UC Cooperative Extension advisor for Mendocino and Lake counties, Houston Wilson, postdoctoral researcher in the Department of Environmental Science, Policy and Management (ESPM) at UC Berkeley, Lucia Varela, UC IPM advisor for the North Coast, Ryan Keiffer, UCCE agricultural technician in Mendocino, Kent Daane, UCCE specialist based in ESPM and located at Kearney Research and Extension Center, and Serguei Triapitsyn, principal museum scientist at UC Riverside, have contributed to the efforts. UCCE, grower-collaborators, pest control advisers, the Lake County Wine Grape Commission and the Mendocino County Farm Bureau collaborated to provide newsletters, videos and field days to teach growers to recognize the new leafhopper and its natural enemy, a tiny parasitic wasp that lays its eggs in leafhopper eggs. However, the plentiful natural enemies weren't adequately doing their job in Mendocino and Lake counties. Researchers brought in a new, effective strain of the wasps from the Sacramento Valley, which are now reproducing quickly on their host in the lab and are becoming established in the counties. Eventually, the wasp will enable both conventional and organic growers to reduce synthetic pesticides used to combat the new leafhopper. The 2016 Achievement Awards were presented at a ceremony at the California Environmental Protection Agency headquarters on Jan. 26 in Sacramento. To learn more about the Virginia creeper leafhopper project, visit http://ucanr.edu/sites/vclh. The UC ANR Staff Assembly Council has been busy pursuing various ways to provide resources that will benefit all ANR staff – including limited-term and county-paid staff. For those of you who may not know, ANR Staff Assembly Council is here to advocate staff views, interests and areas of concern to leadership as well as provide opportunities for professional development. UC ANR Staff Assembly Council began by reaching out to all offices and RECs to obtain names of colleagues who would like to be a local Staff Assembly ambassador. These ambassadors will be your local contact in helping spread the word about and promote the work of Staff Assembly Council. To determine who your Staff Assembly ambassador is, please go to the Staff Assembly's website – http://staffassembly.ucanr.edu – and click on the Ambassadors tab. If you notice your office or site doesn't have a representative and you'd like to become the local ambassador, please let Staff Assembly Council know via the comments and questions link on the home page. Additionally, within the next few weeks, all ANR staff will receive a free UC ANR Staff Assembly reusable bag. It's a way of welcoming you as members of ANR Staff Assembly. Please use it with pride because you are UC ANR Staff Assembly. The UC ANR Staff Assembly serves to promote staff interests. And when asked, staff said that career development is their Number One priority. So the Staff Assembly Council prioritized the staff career-development scholarship program for 2016-17. The 2016-17 Scholarship Program applies to the 2016-17 fiscal year and applications will be accepted for almost any job-related training or conference that occurred between July 1, 2016, and April 30, 2017. The maximum award amount is $1,500, and applications should be submitted by March 30, 2017. Travel such as airfare, rental car, hotel or meals cannot be reimbursed. This is a reimbursement program. Reimbursement will require an invoice or receipt showing payment for the course, and evidence of satisfactory course completion. You will be asked to upload electronic copies of these documents at the time of submission. To apply for the scholarship, answer a 10-question survey at https://ucanr.co1.qualtrics.com/SE/?SID=SV_3DV1wulS6koXnz7. If you have questions about the program, please ask your local Staff Assembly ambassador or post your question at http://staffassembly.ucanr.edu under the “Comments/Questions” tab.